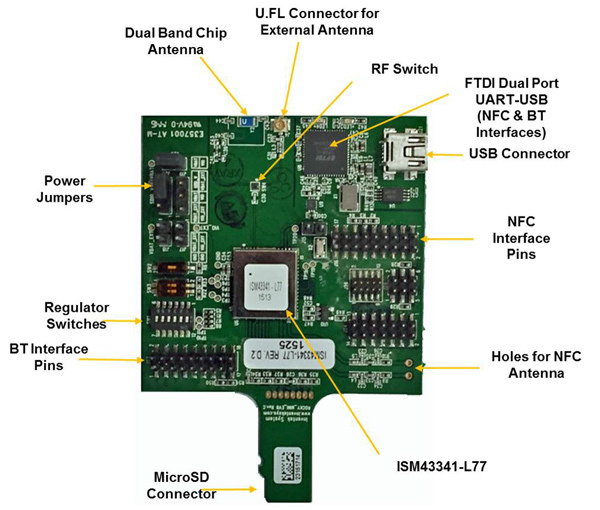 The ISM43340-L77-EVB evaluation board offers 802.11 Wi-Fi connectivity over an SDIO interface, as well as Bluetooth over a UART interface. The combo radio is targeted at embedded Linux applications using FMAC drivers. 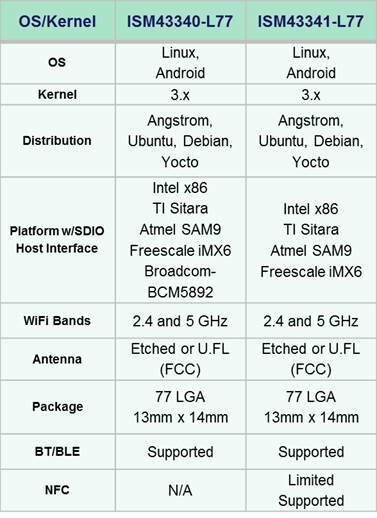 This product is intended for embedded Linux and Android applications running on qualified Host processors with a SDIO interface. This product is targeted at high volume designs with experienced Linux/Android customers. A Software License Agreement is required for Driver support.